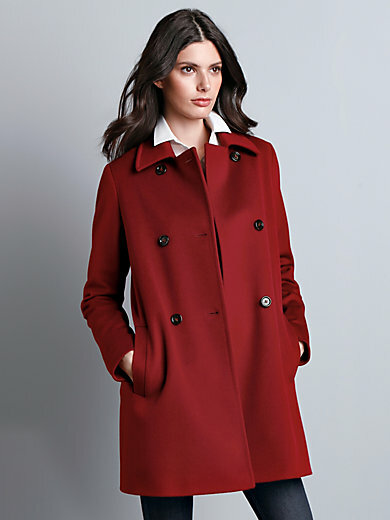 Long jacket by SCHNEIDERS SALZBURG: high-quality, unassuming style with no frills – this versatile double-breasted coat made from top-quality new milled wool in a bold colour will accompany you through countless seasons. With a wing collar, 2 welt pockets and 1 buttoned inner pocket. 100% new milled wool. Lining in 51% acetate, 49% viscose. Length approx. 86cm/34ins. Dry clean recommended.